Visit website for dates and times of meetings. Provides services in mental health, alcohol and substance abuse, community health and comprehensive case management, prevention and education, criminal justice, educational, and children and family services for adolescents, ages 12-17. Inpatient substance abuse treatment facility for adolescent girls. Two inpatient treatment facilities for adult women, and one for adult men. In addition three outpatient programs are available. Call (773)994-2708 to make an appointment for an assessment. Substance abuse treatment services including outpatient treatment and Methadone maintenance. Special programs and/or groups are offered for persons with co-occurring mental and substance abuse disorders, persons with HIV/AIDS, and pregnant/postpartum women. Adolescent and adult women and men are served. This agency serves adults and children suffering from mental illness, substance abuse, emotional trauma and sexual assault. Residential program, outpatient programs, counseling, and education programs are also provided. Provides treatment for girls who present a pattern of behavioral and mental health symptoms such as emotional disturbance, aggressive behaviors, substance abuse, and self-harming behaviors, which are inhibiting their ability to remain safely in their community. Potential clients may have mental health issues, experienced abuse, or be perpetrators. 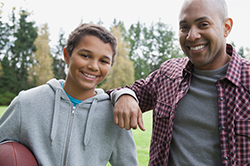 Offers community-based, 24-hour treatment for youth experiencing substance abuse problems. Nonprofit fellowship of recovering addicts who meet regularly to help each other stay clean. This is a program of complete abstinence from all drugs. Not-for-profit organization that provides a full continuum of addiction treatment services for children, youth, adults and families.